The Chinese Linking Rings is one of the oldest and most popular effects in the history of magic. 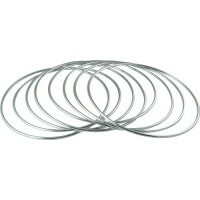 The effect is straightforward: Solid steel rings magically link and unlink, but so much MORE can happen along the way! 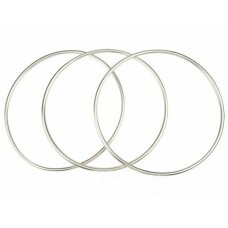 This is a lovely set of three professional quality Chinese Linking Rings made from hollow, stainless steel! They "ring" beautifully. This pro-sized TWELVE INCH set also features a magnetic key ring for those occasions when you want to spin the key on a "solid" ring! The magnetic connection (see photo below) works quietly and easily...you'll love the convenience! Perform all of your favorite LR moves with ease and confidence! Each set includes THREE Stainless Steel Rings (one Magnetic Locking Key and two Single Rings). All rings are twelve inches in diameter. 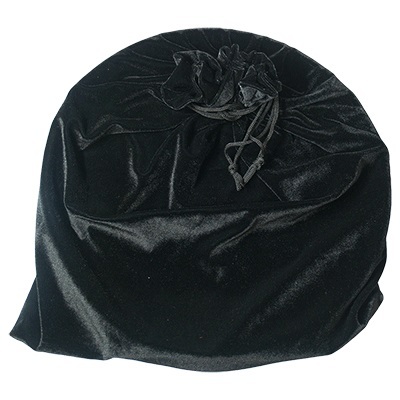 This set is crafted in high quality Stainless Steel and comes with a cloth drawstring carrying bag (see photo below). Includes complete illustrated instructions (including a section on the magnetic key). 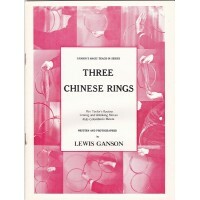 The Chinese Linking Rings is one of the oldes..
THREE CHINESE RINGS - Book by Lewis Ganson From proli..